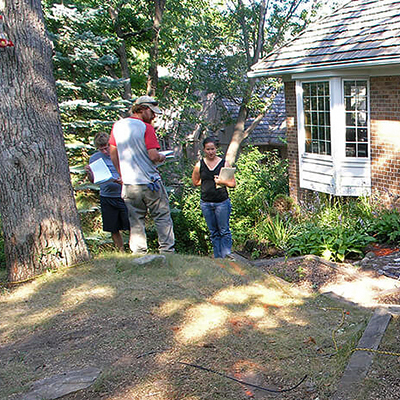 Our landscape design and build process is meant to be as productive and painless for you as possible. 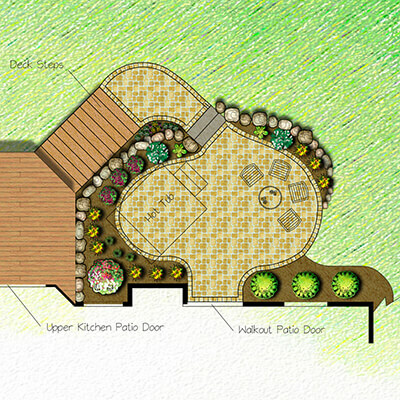 How does Landscape Design work? 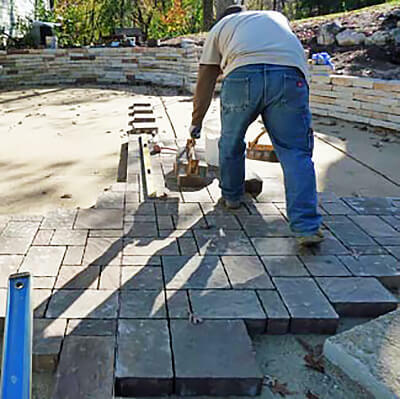 Our landscape design and build process is meant to be as productive and painless for you as possible. There are so many options and possibilities; it can get overwhelming. If you have a list of areas that need work, it’s hard to know which to focus on first. 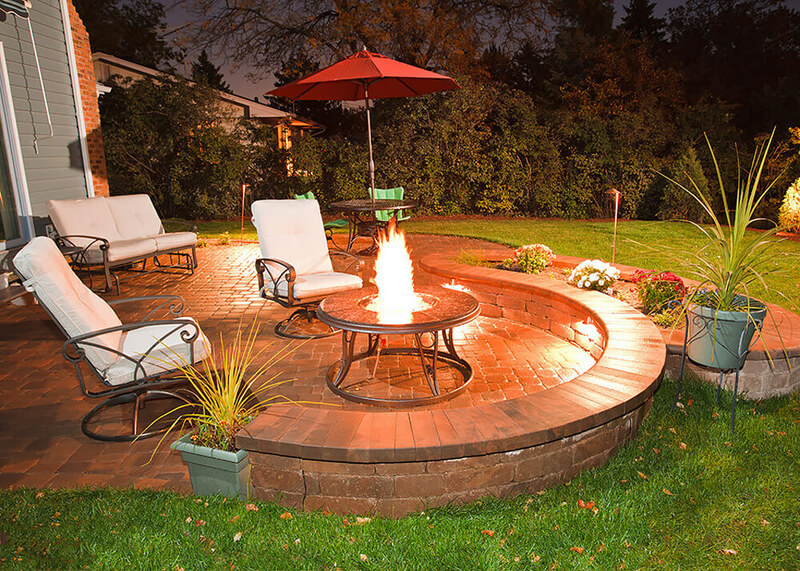 If you need a whole new full yard landscape design, it can be hard to envision how to get the most out of your space. In Axel Landscape, you’ll get a dedicated partner to help figure it all out. 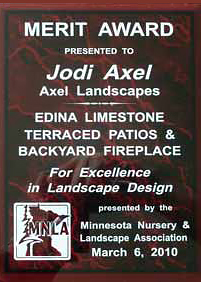 In the last 10 years, we’ve won 9 major landscaping awards for design and installation, including 3 Minnesota Nursery and Landscape Association (MNLA) Awards! Our job is to listen to your wants, needs, and budget, and translate that into the best design possible to achieve your goals. In the last few years, we’ve worked with budgets from $3,300 to $210,000. We’ve got the experience with both design and construction to get you what you want, on time and budget, so you can hurry up and have some friends and family over to enjoy it! You’ll describe to us your “wish list” of everything you’d like to have installed or improved, and give us an idea of the overall look you’re going for. We have a photo book of past projects and another with different material and style options to help you visualize. 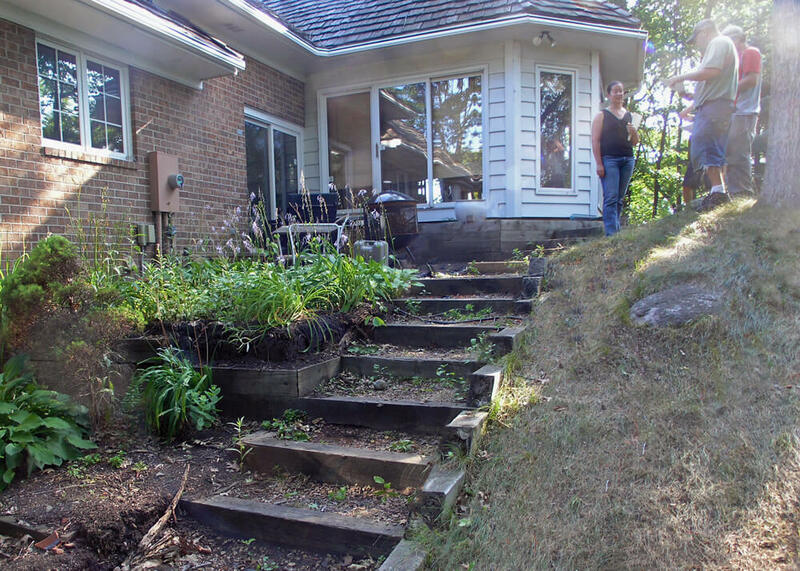 Pointing out photos from our landscape photo gallery also works! We take measurements of your space, record how much sun different areas get, and take some photos. We also have a laser transit to gather precise elevations if we need to. We’ll agree on the general focus and project goals before leaving to work up our design and estimate. B We use CAD software to produce design drawings. For simple patios or walls, we will create line drawings with dimensions (at right) and then write up a detailed line-item estimate to install the project based on our sketch. For larger, more involved projects, particularly involving lots of plants, we will do a preliminary concept sketch of potential bedlines, driveway, patios, walls, water features, outdoor kitchen, lighting, etc. to go over at our next meeting. We’ll also write up a proposed budget to install this preliminary design. After you see and like the concepts and general budget level, and feel comfortable moving forward, the next step may be minor revisions, an installation contract or a design contract where more detailed design work is needed. Design contract fees vary with the scope of your project and with how you want your design presented. 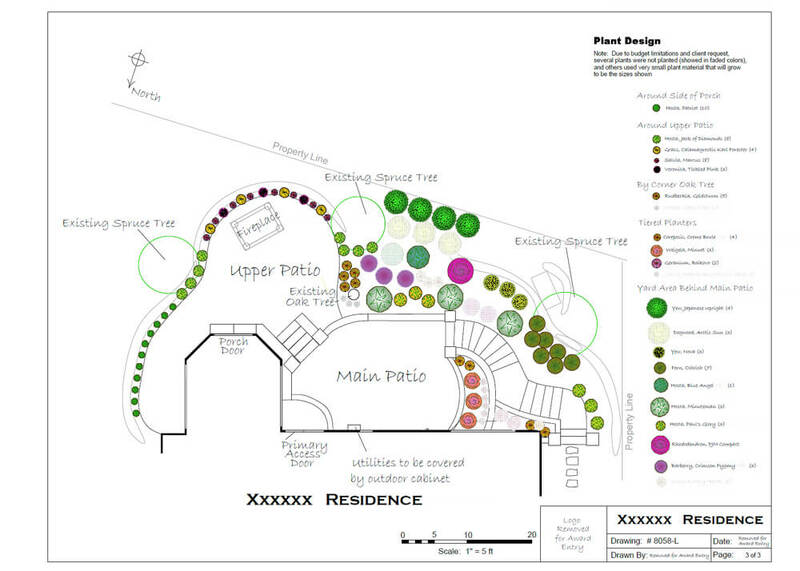 Sometimes we will have 3-4 drawings including grading plans for drainage, hardscape elements, plantings, and elevations or construction cross-sections, all for one project (example at the bottom of this article.) Not all projects will need that much detail. The idea is to provide you with all the information you need to see and understand everything about your project, while also keeping your upfront design fee as low as possible. These fees are always refunded if you sign a construction contract with us. Please call or email us for more information about this aspect of your project. C Now we discuss details and tweaks to the design and budget. 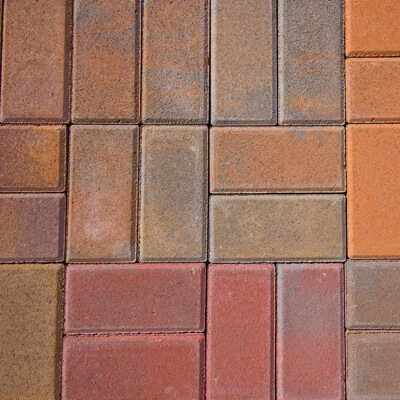 For simpler projects, one or two meetings may be plenty for you to make final material selections and sign off on the final shape of your patio. More involved projects will involve more time as the design is revised and improved. This is a normal and fun part of the design process! Some people come to decisions quickly, and others take longer. We want you to feel free to move at the pace you’re comfortable with. 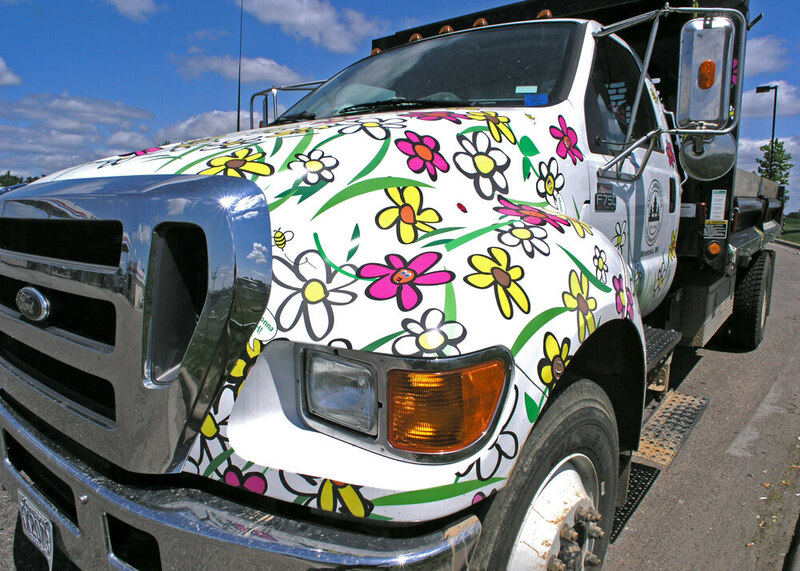 D We will obtain any necessary permits and schedule any required inspections in advance. Ten days before installation, your last decisions will be made and your contract is final. For the most part, we arrive very close to or on our initial scheduled date. When we have bad weather we try our best to make up for it. You’ll be informed along the way of any changes, but don’t worry – if you have a party coming up, we will get your project done in time! Projects are installed in the order we receive their signed construction contracts and 10% deposits. Once we start your project, our crew stays with you until it is complete, and then we move on to the next one. 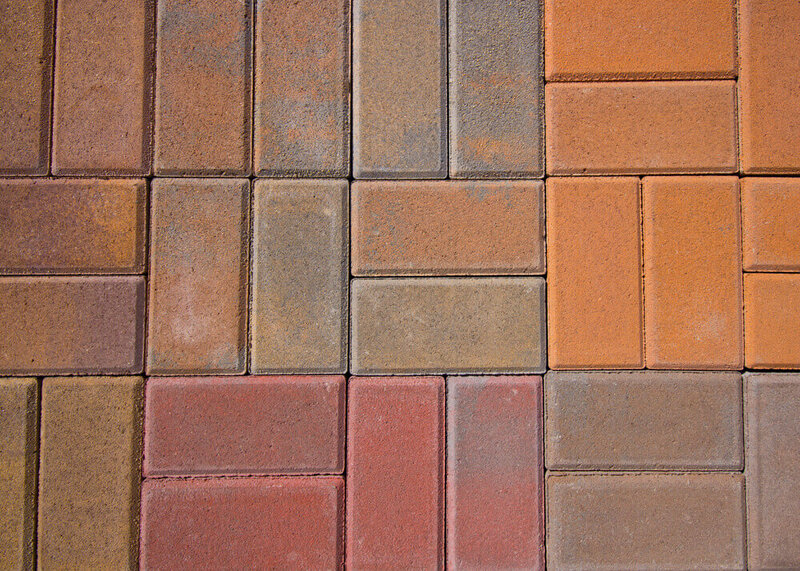 E When your project is complete, we’ll walk it with you to admire the changes and answer any questions you have about maintenance. We’ll tell you how to care for any special plants and offer guidelines for watering. We may do “after ” photography at this time, or schedule it with you at a future time when the conditions are better. We generally have good before, during, and after photography, so let us know if you’d like copies. 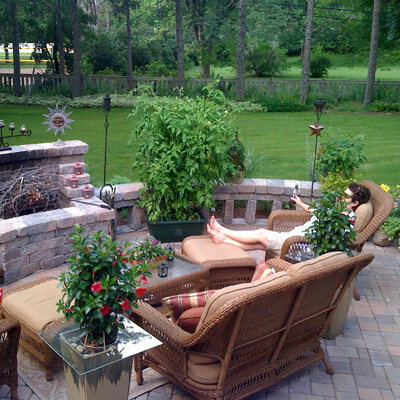 If you need people to enjoy the first cold beverages with you in your new outdoor space, we can provide that, too! Anytime in the future if you have questions, feel free to call or email. We are always here for you.